Ymhlith yr artistitiad mae Iwan Bala, Mary Lloyd Jones, Elfyn Lewis, Paul Peter Piech, Ceri Richards, Lisa Eurgain Taylor ac Ernest Zobole. Come and explore the striking new additions to our contemporary Welsh art collection. From geometric abstraction to contemporary impressionism, this exhibition showcases a wide range of styles from twentieth and twenty-first century Welsh artists. Our collection is increasing in strength with ongoing purchases and donations from generous benefactors and this is a representative selection of our recent acquisitions. 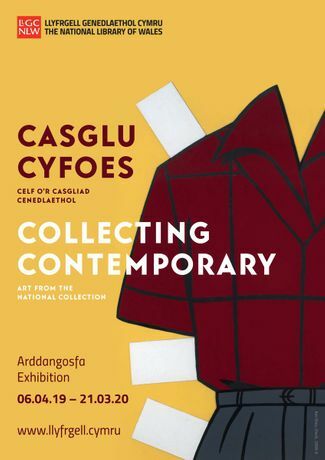 Artists include Iwan Bala, Ifor Davies, Mary Lloyd Jones, Elfyn Lewis, Paul Peter Piech, Ceri Richards, Lisa Eurgain Taylor and Ernest Zobole.